This striking scarf was designed for the men in your life, but it's great for anyone. 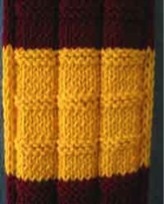 The alternating long and short color repeats are strong and not too busy. A classic look for your biggest sports fan. Check out the nice clean edge. 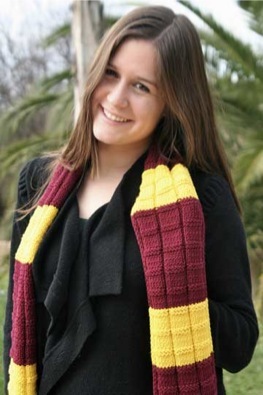 It's easy to knit and gives the scarf a nice finished look. Not sure which colors to pick for your favorite team? Check out out the list of recommended colors for collegiate and NFL teams.